Please join Global Financial Integrity (GFI) for a panel discussion on Thursday, September 10, at 2:00pm at the National Press Club’s Zanger Room in Washington, DC. Based on a forthcoming report by GFI, the panel will discuss the dynamics of illicit financial flows (IFFs) and economic opacity in Myanmar since 1960, and the economic ramifications these trends have had and continue to have on the country’s development. There have been few studies on capital flight and illicit financial flows to and from Myanmar, due to waning public interest in the wake of insular domestic policies and Western economic sanctions. 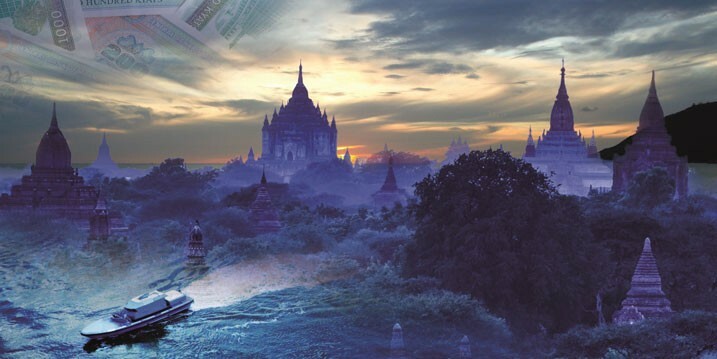 Our new report, Flight Capital and Illicit Financial Flows to and From Myanmar: 1960-2013, updates the economic picture of Myanmar with analyses of macroeconomic, structural, and governance-related trends, flows of illicit trade capital, flight capital, and the underground economy. Based on these findings and estimates of illicit outflows, the report presents recommendations to the Government of Myanmar for improved curtailment of trade misinvoicing, greater financial transparency, and more robust statistics. Dev Kar, the lead author of the report, will summarize the findings on the dynamics of illicit financial flows and economic opacity in Myanmar since 1960, with a particular focus on trade and the underground economy, and suggest statistical and policy improvements going forward. Vikram Nehru of Carnegie Endowment for International Peace will discuss Myanmar’s economic and political developments since 1960 and how past policies of being closed off and opaque are changing. Aaretti Siitonen of the Embassy of Finland will highlight the Finnish government’s development priorities in Myanmar and how the government sees curtailing illicit financial flows as a priority for Myanmar and for other developing countries. Tom Cardamone, Managing Director at Global Financial Integrity, will moderate. Please direct all questions to Loosi Azarian, lazarian@nullgfintegrity.org or 202-293-0740. This conference is open to the press. Please direct all press inquiries about the event to Christine Clough, cclough@nullgfintegrity.org or 202-293-0740.